The Internet Trends Report was recently published and included a number of interesting revelations worth paying attention to. 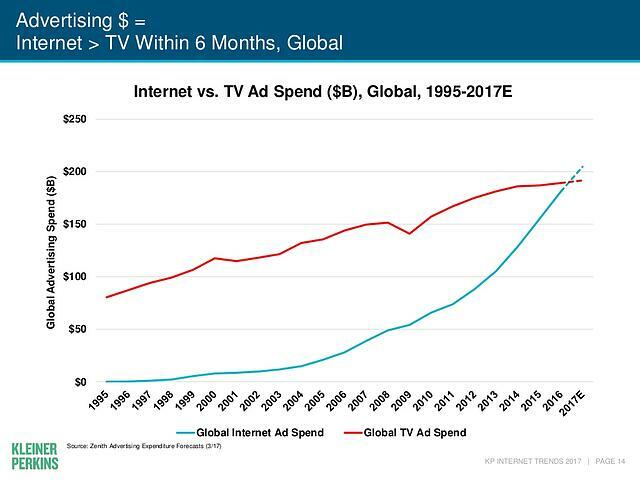 From the outset, it becomes clear that investment in online advertising continues to grow exponentially, overtaking TV and establishing itself globally as the dominant channel through which businesses promote their products and services. This comes as no surprise as the number of global internet users continues to grow and it is now estimated to be somewhere in the region of 3.4 billion, however, with this shift comes a new set of challenges for businesses and marketing professionals to overcome. Customer Service, the Antidote to Viral Outrage? The adoption of such methods speaks to an increased internet user base yes, but also rising customer expectation, as exposure to product reviews and user experiences point a spotlight over poor quality products and heighten consumer awareness. Dissatisfaction with a product or service used to be expressed over the phone in a one-to-one conversation between customer and company representative, or in-store in front of a limited audience of onlookers – these days things have changed. Company social media and product pages have the potential to amplify a single negative review or customer experience into a viral phenomenon that in some cases can cause great harm to both companies and their products. Recently for instance, popular clothing company ASOS suffered viral embarrassment as a result of one customer’s frustration with a pair of unusually sized jeans. The story, accompanied with images of the product, circulated the internet and established publications such as The Mirror, The Sun, and The Daily Mail all published stories on the matter throughout the year. Moreover, 82% of customers will now cease all business with a company following a bad experience, showing an increase from 76% in 2014. Company accountability is on the rise, and businesses have been hard-pressed to improve their customer service as a result, with the incorporation of online live chats rising rapidly to swiftly deal with complaints and avoid signal-boosting outrage. In addition to heightened customer expectation and company accountability, an increase in online advertising has seen a similar rise in the number of users installing Ad Blocking software on their devices. Of course, even in the days before the internet, companies could never be certain people were actually paying attention to their advertisements in the newspaper, on television or radio, but if nothing else, the fact that data regarding online ad blocking is now readily available makes it difficult for companies to ignore. Skippable ads on YouTube attempt to discourage users seeking out ad blocking software by making advertisements less intrusive, and at very least allowing companies to make a rapid pitch in the five seconds prior to the skip option becoming available. It is for this reason that marketers have had to step up their game when it comes to generating more interesting, creative and tailored campaigns to entice the attention of the ever-growing online user base. 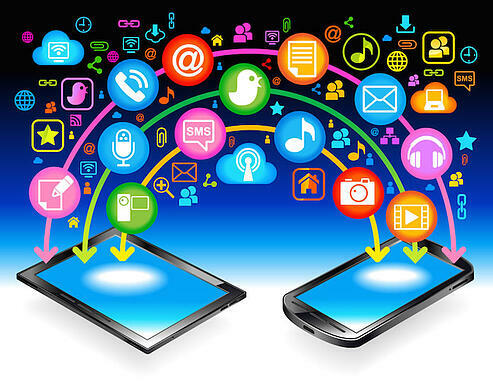 This new strategy has been expressed in numerous ways, perhaps the most prominent being the merging of social media platforms, advertisements, and storefronts. For instance, Facebook feeds function as storefronts and Messenger can be used to facilitate live pitches between sellers and buyers. Instagram feeds include ‘Tap to Book’ functionality and Snapchat incorporates a ‘Swipe Up to Buy’ feature. Furthermore, user-generated content and paid endorsements from internet ‘Influencers’ are becoming increasingly more prevalent. Effective UGC can generate 6.9x higher engagement than traditional brand generated content on Facebook. Internet personalities who have amassed a sizeable, dedicated audience are highly sort after by companies who hope to leverage the loyalty of the Influencer’s followers in order to drive sales by way of association to these online celebrities. Although growing in popularity, this method comes with a certain amount of risk as Influencers are often young entertainers who have little business experience, are difficult to predict and can cause trouble for companies if they find themselves in the midst of controversy. Perhaps the most famous example of this is a recent fallout between PewDiePie, YouTube’s most successful personality, and Disney, who were forced to cut all ties with the Influencer after a distasteful video was met with backlash from the internet. The controversy was widely reported on and Disney had to publically distance themselves from PewDiePie. Regardless of such controversies, working with Influencers has rapidly become an accepted and effective means of advertising. Digital – Can You Dig It? To conclude, marketing strategy is undergoing persistent evolution as the internet continues to establish itself as the dominant channel through which businesses drive sales. As a result, a host of inventive new methods of advertising, encouraging active interaction between companies and potential customers, have emerged. Such strategy represents a dedicated effort to generate more creative, engaging, and tailored advertising, and deliver a more targeted marketing effort in a climate of increased consumer awareness and company accountability. Luxus built its reputation by successfully predicting, adapting and implementing the emergence of digital as a marketing channel whilst others struggled to make sense of new technology. This Internet Trends Report shows Luxus’ foresight paid off, and continues to do so, as we look to continually expand the business in the future. If you’re interested in working with us, please visit our Contact page. If you’d like to join the team, please take a look at our Careers page.